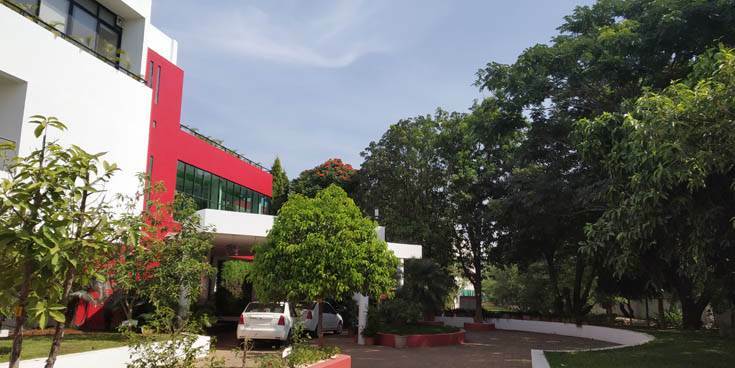 The Mahindra Group took a big step forward in its commitment to becoming carbon neutral by 2040, with its lgatpuri manufacturing plant recently becoming India's first carbon neutral manufacturing facility. This was certified by Bureau Veritas (India), a global leader in testing, inspection and certification. 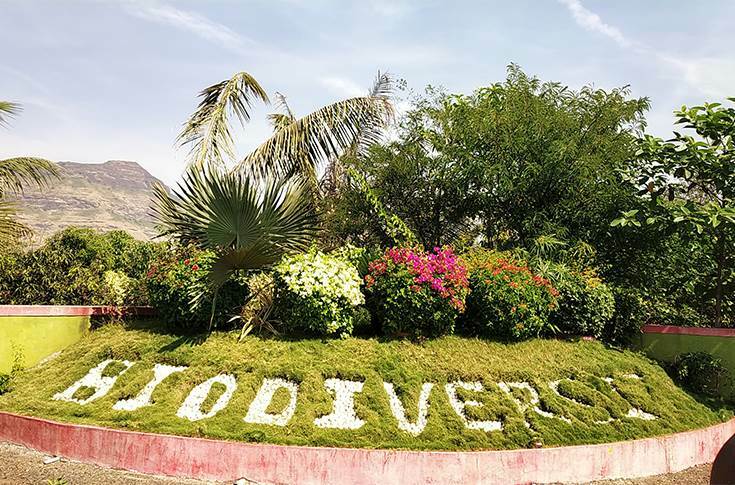 Vijay Kalra, CEO, Mahindra Vehicle Manufacturers and chief – Manufacturing Operations at Mahindra & Mahindra, said, “This is the first plant within the Mahindra Group to be certified as carbon neutral. We have been able to achieve this through energy efficiency, a sharp focus on the use of renewable energy and the planting of trees to absorb residual carbon." Mahindra & Mahindra was the first company in the world to commit to doubling its energy productivity by 2030, signing on to 'The Climate Group's EP100' program. Using energy efficient lighting, efficient heating, ventilation, and air conditioning (HVAC), motors and heat recovery projects, M&M has doubled the energy productivity of its automotive business almost 12 years ahead of schedule. As per the sources in the company, the plant employs 1,500 personnel who work in two shifts to produce 1,286 engines per day. The plant produces three major engine families, including the 2.2-litre mHawk diesel engine. The engines from the Igatpuri plant are installed in Scorpio, Xylo, Quanto, NuvoSport, Bolero, Verito, Thar and among others. Since 1981, the plant has produced almost 34 lakh engines to date. To achieve carbon neutrality, the Igatpuri plant has implemented cold testing of engines (derived from its synergy with SsangYong) to reduce the engine cycle testing time. M&M have reduced the fuel consumption in the plant through smart arrangement of the factory floor and with the use of smart racks for carrying parts. It is also revealed that the heat from the engine testing machineries are also put to use which itself has earned them an award at the Asian level. The company claims to have reduced the carbon and water footprint by 25 percent. Taking into fact that 70 percent of the total energy consumption is through the motors, M&M has opted for energy efficient ones across its plants in India. It is revealed that by replacing 1,100 of them, M&M experienced a 6 to 10 percent improvement. By incorporating Solar Power and Wind mill for electricity generation at their plants, they have attained a claimed efficiency of 50 to 60 percent. 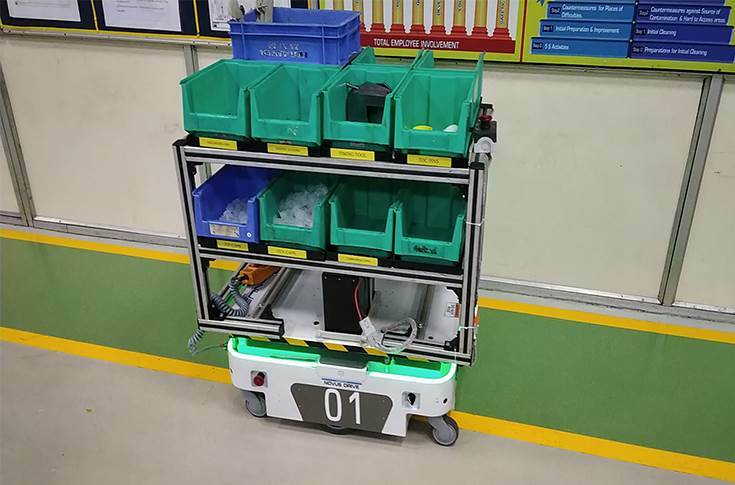 Technology-wise, the Igatpuri plant has incorporated an autonomous electric robot from a Pune-based automation solution company, Hi-tech Robotics (the same company that showcased the Automated Guided Vehicle (AGV) at the 2016 Auto Expo). The robot is equipped with laser-based natural navigation that does not require any modifications to the existing infrastructure. The robot has dynamic obstacle detection and avoidance system. This is said to be the first Mahindra plant to be water positive. Through rainwater harvesting initiatives, M&M claims to have operated the Igatpuri plant for 214 days without any supply from outside sources. It reportedly has a national award for water conservation. During the media interaction, Nasir Deshmukh, senior general manager, Operations at Mahindra & Mahindra said, "Of this 100+ acre of land, 83 percent is covered in green foliage. None of the waste from the plant goes to landfill. More than 99 percent of our waste is either recycled or reused. We are on the cusp of making the Igatpuri plant a 'zero wood plant' in the near future. Due to the green cover, the dust level in the premise has reduced by 50 to 60 percent. The plant was also discussed at the World biodiversity forum in Egypt last year." He further adds, "The biodiversity area in our plant is also aiding us to produce Karanja oil which is capable enough as an alternative to diesel fuel." Commenting on the achievement, Anirban Ghosh, Chief Sustainability Officer, Mahindra Group added, "Through the work we are doing on carbon neutrality, we are not only responding on the climate change challenge but our work also results in improved efficiency, innovation and more importantly delivers on the business case far sustainability." Mahindra says it is also the first Indian company to announce its internal carbon price of $10 per ton of carbon emitted to fund investments required to pursue the path of carbon neutrality. The price was carefully arrived at based on international benchmarks and an assessment of what was required to achieve the goals set by the business on energy efficiency and renewable energy. The company has over 10 years of experience in creating carbon sinks which has helped it to achieve this goal. M&M will be working on its carbon neutrality commitment with the international non-profit organisation Environmental Defense Fund (EDF), which works with leading companies to raise the bar for corporate sustainability leadership. It will continue to work with EDF and other leading partners as it implements actions towards achieving carbon neutrality. M&M is also a signatory of the 'Science Based Targets' initiative which provides companies with a clear pathway for reducing emissions in line with the Paris Agreement's goal of limiting global warming to well below 2 degrees Celsius above pre-industrial levels. All these commitments are helping the company on its path toward carbon neutrality.